Mommy's Idea: Win a Pair of Shoes from One Stop Boy Shop! Contest ends at 11:59 PM EST on Tuesday, March 24, 2009. I’m Nancy, a mom to 3 young boys. I made the decision to stay home with my boys a year and a half ago when my youngest son became very ill from a virus he picked up after just 3 days in daycare. As the hospital was giving him a spinal tap, I sobbed “I’m NEVER putting him back in daycare! Please just let him be okay”. Two days later he was released from the hospital so I called my boss and said “I quit”. 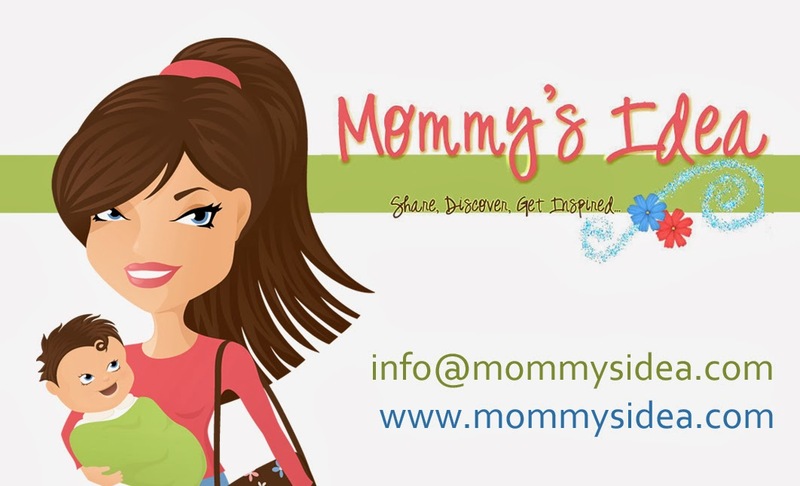 Purely mom inspired, created, owned and operated. I'm first and foremost a mom. Deciding to stay home with my boys a year and a half ago was a huge step and felt like a sacrifice at the time. I told myself that if I worked really hard I could someday get my career back but that this time with my boys could never be repeated. Little did I know that I could stay home, enjoy my boys AND work. Staying home inspired an entrepreneurial side of me that I didn't know existed. I actually have 2 mom owned businesses. The first one is Pages By Nancy, which is creating simple websites for start-ups. I’m able to utilize my know-how in the I.T. industry and help others while satisfying the nerd in me. Staying home also allowed me an opportunity to launch my dream business, One Stop Boy Shop, in October, 2008. I’d dreamt about it, but had never imagined that I could some day make it a reality. As a mom to 3 boys I was inspired to start this after years of frustrated shopping experiences. Most retailers focus on the girls and not the boys. One Stop Boy Shop is where it's all about the boys! I have a Page on Facebook for One Stop Boy Shop where you can become a “fan”. I have an addiction. :) Blogging. I'm loving getting back into writing (and reading) which is something that I'd lost even before children. My very busy career in I.T. stole more from me than I ever realized. It was all consuming and although I thought I loved it, I love this life so much more. I feel like I'm now myself. I love the Teddy Bear Squeaky Shoes in size 11. Thanks for the chance. I love the shoes but I found the cutest raincoat there. It's called the Toddler/Boy Transportation Raincoat. I love the Black Leather Squeaky Shoes. Thanks for the great giveaway! i love the brown sandal squeaky shoes! too cute. I like the "Not Smiling - Passin' Gas" Creeper. Thanks for the chance to win! I love the black leather squeakers. I have a new walker but he is already so fast. The squeak would help me keep track of him. I love the Soft Sole Brown Leather Shoes- perfect for my grand son. I really like the short sets; especially the Camo set. These outfits are adorable. I like the Brown Squeaky Shoe Sandal-very cute! My favorite are the Soft Sole Suede/Leather Toddler Shoes by Trouble For Boys (size 6-12 mos. ), they have soft sheep skin around the ankle tops. Too cute! I love the Squeaky Shoes, especially the Black Leather Squeakers (size 5). I like the Brown and Tan Squeaker Sneaker. are really nice. Thank you! i like the shorts set and squeaky shoes! too cute. I love the Camouflage Squeaky Shoe size 11 or 12. These are just too cute! I love the Brown and Tan Squeaker Sneaker! The shoes are cute, and I also like the Toddler Varsity Sweat Jacket. I like the Boys Varsity Sweat Jacket! Thanks for the chance! I like the Canvas Navy Striped Squeaky Shoes. I wonder how my God-nephew would react to squeaky shoes. LoL. I love the Airplane shoes and the Fireman Jacket! The Transportation Pajamas are adorable! The Black Leather Squeakers would be the ones I would choose. Thank you! Love the yellow raincoat nice. I like the "Custom Handmade Airplane Shelf". My "OpenID" is my contact email. My favorite is the varsity sweat jacket. I love the navy squeaky shoes. I also like the airplane shelves. i like the Brown Squeaky Shoe Sandal. I have an almost ten year old that would LOVE the Daily Tea Paper-cut Dragon Hooded Jacket. Thanks for sharing! What a nice giveaway. I Baby Boy's 5 piece Knicker set. Adorable! Love the fire truck leather shoes! Love the Yellow raincoat! Thanks for the chance. The Soft Sole Leather Worm shoes are cute! Giraffe Soft Leather Shoes are so cute! I like canvas navy striped squeaky shoes and fire truck soft leather shoes! love the Black Leather Squeaky Shoes. Love the Teddy Bear Squeaky Shoes :) Thanks for the opportunity. I love the Airplane shoes for my boy! I like the black leather squeaker shoes! My favorite item is the Blue Camouflage Airplane Jammies. So comfy looking! i love the Camouflage Squeaky Shoe! I love the Cowboy Short Set. Daily Tea Paper-cut Dragon Hooded Jacket has gotta be one of my favorite items at the shop! I love the boys toddler varsity sweat jacket. I really like the camoflauge squeaky shoes. I adore the Baby Boy's 5 Pc Knicker Set! my hubby likes the Black Leather Squeaky Shoe! Canvas Navy Striped Squeaky Shoes are my favs! I love the Navy Squeaky Shoe!! So cute! Brown and Tan squeaker sneaker! I love the Soft Sole Leather Worm shoes! They are super cute! Great shop! Thanks! My favorite is the Brown Squeaky Shoe Sandal! I love the Teddy Bear Squeaky Shoes the best. Cute stuff! I really like the Teddy Bear Squeaky Shoes. My 5 month old loves to play with his toes so I am sure he will enjoy the SQUEAKERS. I like the Brown and Tan Squeaker Sneaker. I think my son would get a kick out of them. Thanks! I love the black leather squeeky shoes. My favorite are the Soft Sole Leather Worm shoes. Thanks for the giveaway! i like the Camouflage Squeaky Shoe! I like the soft sole brown leather shoes for my little toddler. Thanks for the giveaway. My favorite one stop boy shop item is the soft sole leather green worm shoes! We love green and it's hard to find in shoes. Thanks for the giveaway. I follow you. Thanks for the One Stop Boy Shop giveaway. I am in love with the Baby Boy's 5 Pc Knicker Set! It's the cutest darn otufit! It reminds me of the 1920.....I love it so very much! I follow on blogger & you're on my blog roll! I subscribe to feed & emails. The Teddy Bear Squeaky Shoes are very cute! i love the camo shoe.